Let’s get it together – this is your Blue Patch Collective! 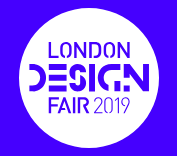 We’re exhibiting at London Design Fair Old Truman Brewery, September 2019. Booking now, please email jane@bluepatch.org if you’d like to know more about this opportunity. Project booked. Please contact Blue Patch is you would like to be on the waiting list for the next Sustainable Department Store project. 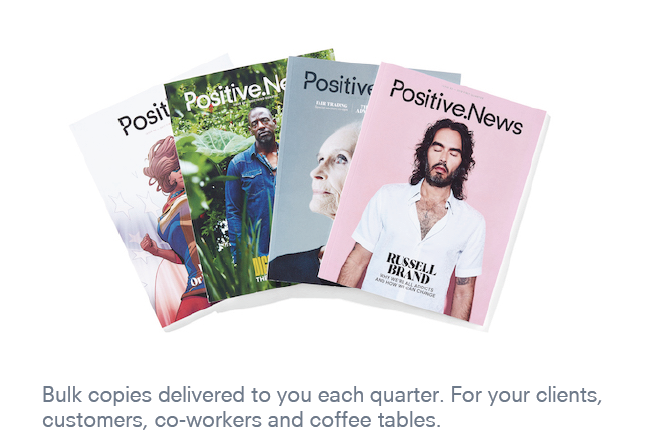 This fortnightly member newsletter brings opportunities ‘hot off the press’, giving members the chance to join in with exciting projects and to meet each other. This is the newsletter where members can share their initiatives and news. Sign up and keep up to date with our incredible member’s only news. The Blue Patch Collective : great businesses in great places! 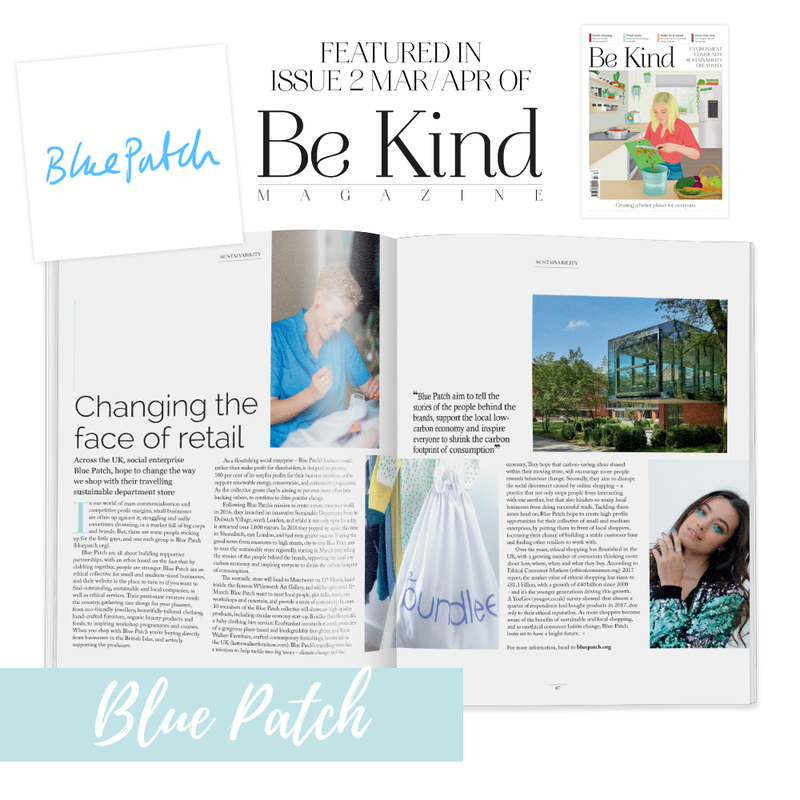 Join Blue Patch’s Brands of Inspiration page in Positive News. £350 for a quarter page slot. An exceptionally high quality ethical ‘coffee table’ magazine with a run of 12,000, for sale in WH Smiths, Sainsbury’s, Barnes & Noble, independent stores and by subscription. Please email join@bluepatch.org for the information about 2019. If you’d like to take 1/4 in our professionally designed template ad saving £100. 24 April – 16 May has now booked. 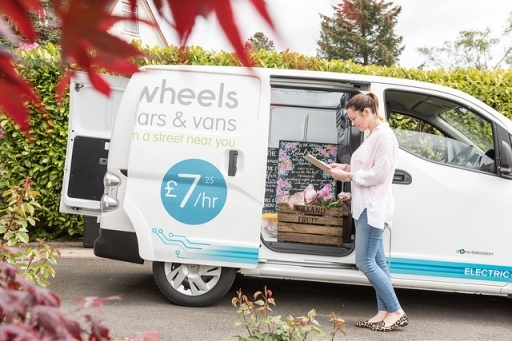 Amazing offer of £100 discount to Blue Patch customers from our latest member Co-wheels Car Club click the website link. They’re a social enterprise too! If you have an offer to share please contact membership@bluepatch.org. Blue Patch’s first regional Youth Blogs (18 – 25) are funded by Blue Patch Members, Patrons and Sponsors. If you would like to feature your business or sponsor the next generation to showcase their writing, photography and film talents, please contact Natalia at membership@bluepatch.org. Phoebe Rowe, final year Psychology student at UCL and Taormina Miller, final year Photography student at Manchester School of Art. Blue Patch are turning a Victorian terraced house in Dulwich, London into a showcase for sustainable living and work by members. Starting outside, we’re already working on a larder garden and haven for wildlife. The interior of the house will be open to the public over two weekends as part of the Dulwich Festival 2020. There will be opportunities to give talks and provide workshops, meet with members and network. Want to be involved? The member’s newsletter will keep you in the loop. Have you joined our members Facebook group Blue Patch People? Spot the member’s section at the bottom of our general newsletter. 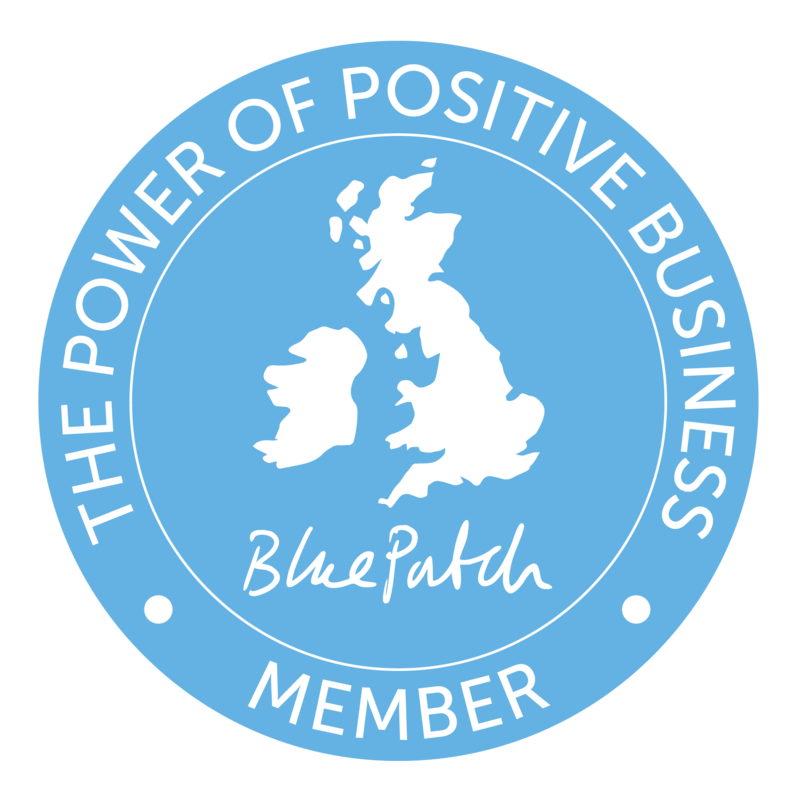 Show you’re a member of Blue Patch’s ethical business community for the British Isles by adding our logo on your website and marketing material (T&C apply). Keep your membership active on Blue Patch or apply to join us. We’d love to hear about your business. Questions and suggestions? We’d love to hear from you.